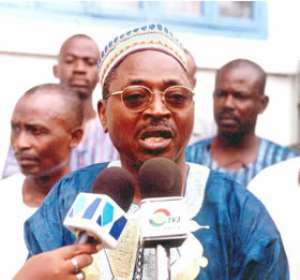 Police and military investigations are yet to disclose the details of separate commissioned enquiries into the death of the CPP's Northern Regional chairman Alhaji Issah Mobilla. The CPP regional chairman died in military custody shortly after December elections. He death prompted concerns over the propriety of his detention by the military over allegations of his involvement in gun running. Concerns have also been expressed about the use of excessive force, which analyst suggest is characteristic of the military's involvement in civil relations. Mr Wayo Seini is the newly elected for Tamale Central. He said the people of the area feel insecure because even after the death of Alhaji Mobillah, the military continue to brutalise civilians. “ We will like to suggest that the Military to replicate the professional work they do when they go on peacekeeping home instead of trying to make some people look like enemies by harassing and beating them” he said. He said after the death of Issah Mobilla some military men in armored cars were holding stick on the streets of Tamale and any time they come into contact with someone on a bicycle or motorbike, they use the sticks to beat them up for no apparent reason. He expressed the hope that government will set an example and the military itself will clean its house by bringing one of their own to justice so as to give the Ghanaian Military a better name.